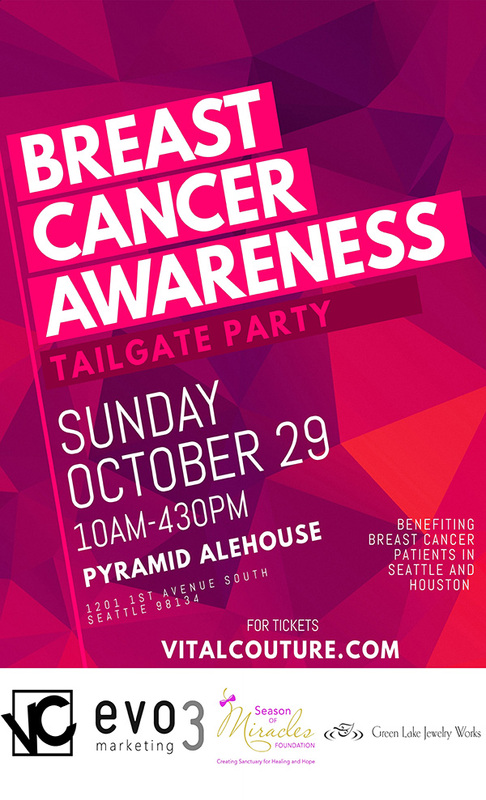 October is National breast cancer awareness month and Green Lake Jewelry Works has partnered with Vital Couture – an e-commerce business centered around the needs of individuals navigating the life-threatening diagnosis of breast cancer – to host its first annual tailgate fundraiser, Seattle + Houston = 24 strong. This event hosted by Vital Couture will specifically honor Stephanie McNamara who was diagnosed with breast cancer, February 2017. Stephanie is married to a Redmond Police officer, with a long lineage of civic duty from both sides of their families. Your ticket purchase will help us give back to the McNamaras as well as others battling this life-threatening disease. And since the Texans are in town on October 29th to play the Seahawks, Tee shirt sales from the event will benefit breast cancer patients affected by Hurricane Harvey. 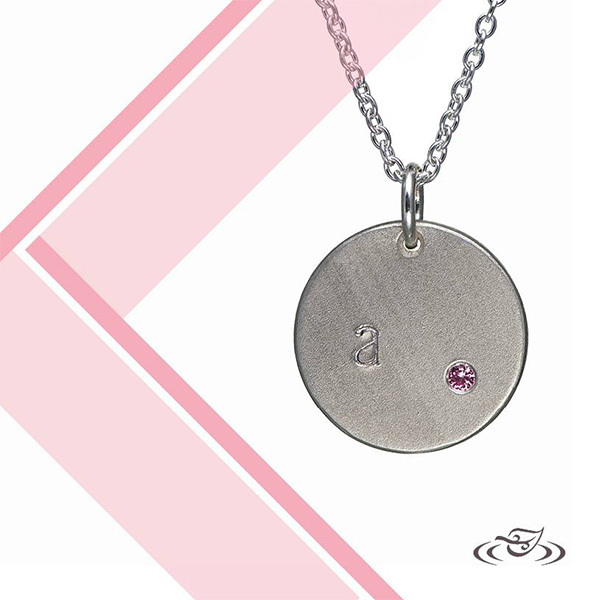 A VITAL VIP TICKET to this event includes a sterling silver pendant with a flush-set PINK SAPPHIRE on an 18″ sterling silver chain and complimentary letter stamping in the workshop. We love these little silver pendants stamped with either our own initial or with the initial of someone we love in our life, and some even wear them here in the shop. These particular pendants are exclusive to this event and will likely sell out, but Green Lake handmakes ones like it in the workshop for approximately $250.00, depending on the gemstone. Contact us at info@greenlakejewelry with any questions regarding customizing a pendant for breast cancer awareness or any cause!